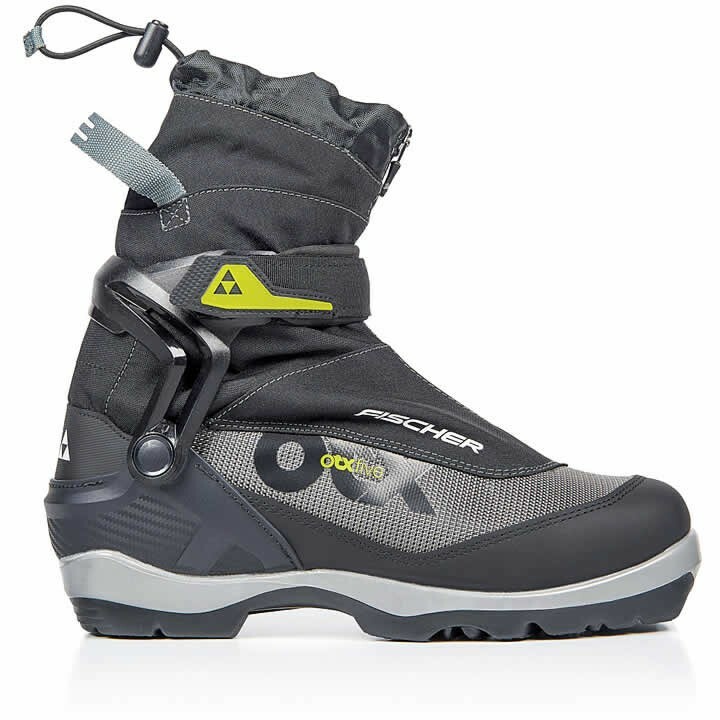 Constant refinement of the Fischer Offtrack 5 BC boot has created improved stability and more secure heel fit in a specialized backcountry version. Backcountry sole gives optimal support in difficult terrain and non-slip walking. Supportive external heel cap and 3-D cuff support and allow easy ski movements. Inside the boot, a light, thin layer of water-repellent insulation material offers additional thermal protection in the forefoot and toe area to keep the skiers warm as they glide through the snow. Sport Fit Concept: The right fit for all requirements. Whether it's shaped for the female foot with the comfort or race version, customized for the feet of young skiers, meeting the comfort requirements of all-rounders or for direct power transfer in racing: the Boot Fit Concept with special lasts is the answer to all the different needs and morphologies of the various consumer groups. Thermo Fit: Thermally formable foam cushioning with outstanding thermal insulation and a perfect fit for the individual shape of the foot. Integrated Gaiter: Integrated, easily adjustable gaiter for optimum protection in deep snow. Waterproof lightweight material and sealed zip for maximum cross country skiing enjoyment even in untracked terrain. Rottefella® BC: Optimum support in difficult terrain. Reliable walking thanks to the non-slip profile.